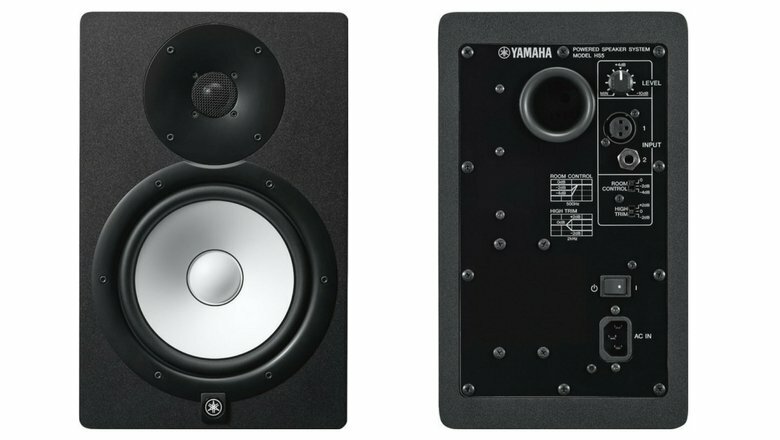 Yamaha has long been a leader in near-field monitoring since their legendary NS10 studio speaker came out in the 1970’s. Their latest HS series of monitors is their most up-to-date series which offer the iconic Yamaha white cone bass woofer and a very clean, minimal design. Since their release, the HS series have become one of the most trusted in their class of studio monitors for their succinct sound image, flat response and high resolution. 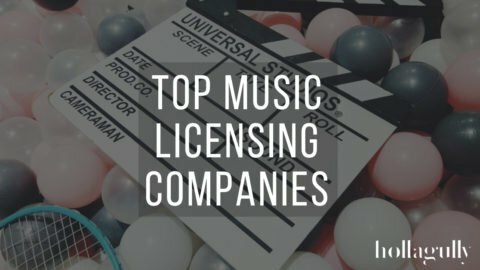 They’ve received consistent enthusiasm among home studio owners as their available sizes and various features are perfectly suited for this market. The HS series offer models with driver sizes of 5”, 6.5”, and 8”—any of which can be bundled with Yamaha’s HS8S active subwoofer. These are the appropriate sizes to match home and project studios. Each size offers the same features except that a larger driver will offer lower bass frequencies. This is the way to go for rooms large enough to handle these low frequencies. For the sake of this review, we’re trying out the Yamaha HS5 specifically. 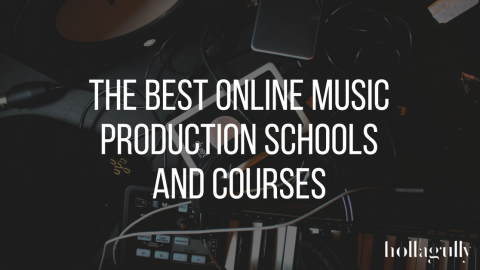 From what we gather this information will translate perfectly well into any HS model of another size, give or take some minuscule variations in the frequency response. 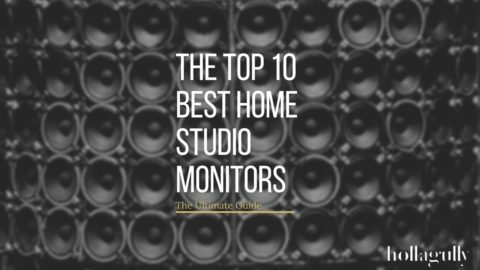 When choosing studio reference monitors for recording and post-production, accuracy in the response is of utmost importance. Yamaha have put years of expertise into an architectural design of the HS5 as to dramatically improve durability and eliminate unwanted resonance from its enclosure. Both speakers on the front of the cabinet use uniquely designed mounting rings which further helps eliminate unwanted vibrations. The Yamaha HS5 have a bi-amplified power configuration which means that each of the two speakers are mated with assigned amplifiers powering the appropriate frequencies of each driver exclusively. Each driver employs an extra-large magnet that creates a more uniform flux field and greater fidelity in the low frequencies. Engineers love the HS5 for their stunningly accurate high-resolution sound. This is in part due to their 25W 1” dome tweeter positioned in a thick wave guide constructed to minimize resonance for smooth, distortion-free high end of up to 30kHz. This wave guide broadens the listeners sweet-spot and offers a superior sound stage. Yamaha employ their trademark 5” white cone driver known for their low distortion, accurate mids, and consistent bottom end over all 45W of output level. 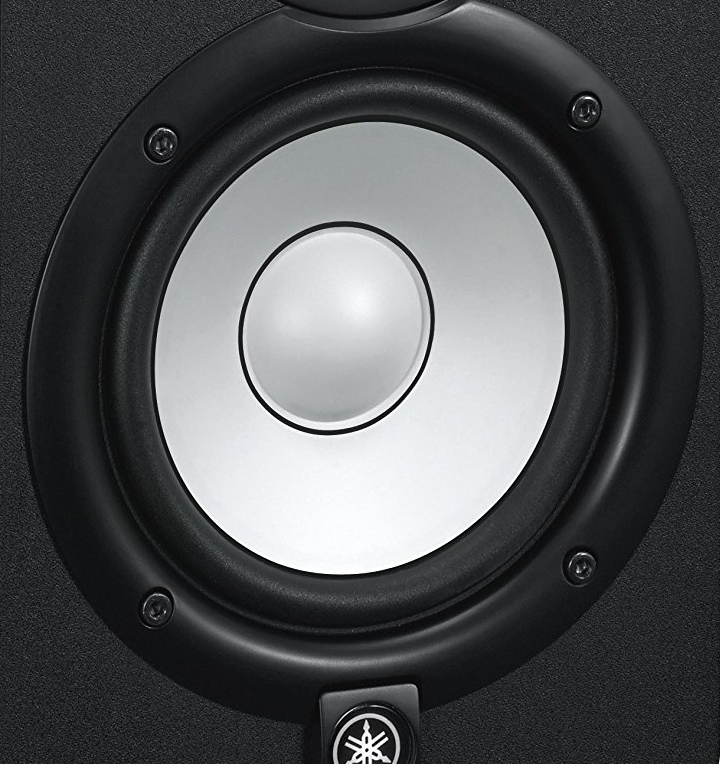 This 5” driver offers a bottom end as low as 54Hz which is common for a studio monitor of this size. Moving to the rear of the cabinet we’ve got the connections and some noteworthy features. First is the circle bass port. This port is tuned in such a way as to work with the resonating air from within the cabinet to provide more bass output than the driver alone is capable of producing. 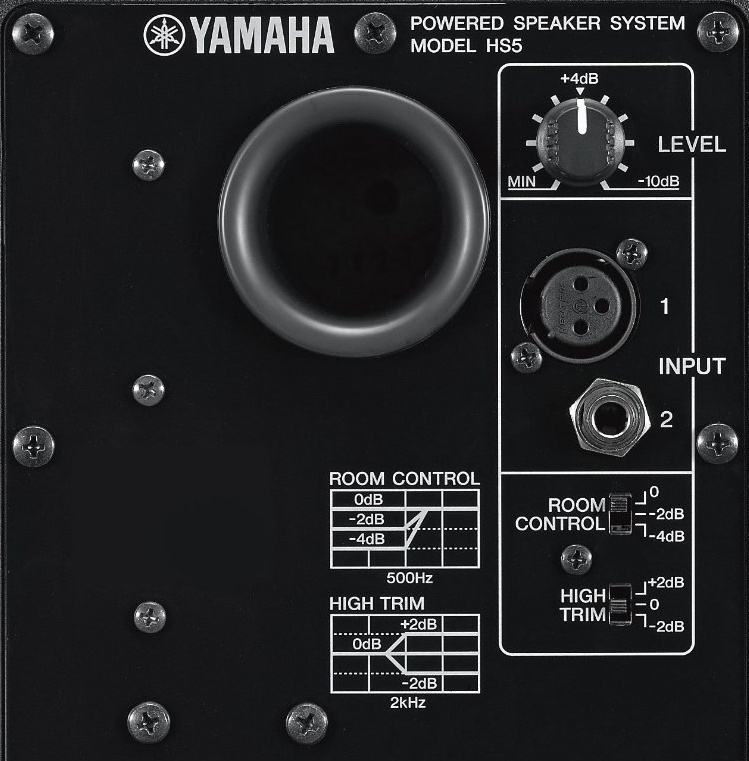 To manage this issue, the Yamaha HS5 feature a ROOM CONTROL switch that reduces the low frequencies below 500Hz by -2dB or -4dB. Yamaha recommends that you place the HS5 at least five feet from the nearest wall for the flattest response with this room control feature bypassed. This is definitely worth noting if you are working in a poorly treated small studio, and are up against a wall. To further mitigate room anomalies, HIGH TRIM controls let you boost or trim frequencies above 2kHz by +2dB or -2dB. 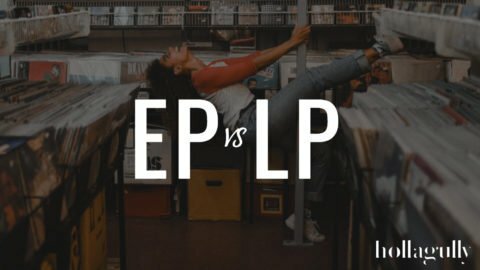 This is great if your experiencing early reflections and your mixes translate either very shrill, or muddy on other systems. Finally, on the rear are the connections. The Yamaha HS5 can accommodate a wide range of sources with their balanced XLR and TRS inputs. This is how you’ll connect to your mixer, audio interface, or the HS8S subwoofer. So now let’s talk about how they sound. The HS5 lend themselves perfectly to musicians working long hours as the highs are smooth, clear, and non-fatiguing. The tonal response is relatively articulate and flat, though there seems to be a peak of a few decibels at around 1kHz. This is a crucial frequency as it is where the average human voice and many chordal instruments are situated in the EQ range. This results in a mid-heavy sound that if mixed as if normal, could translate on other systems as lacking in this frequency. The high mids and treble are very accurate and workable while the tweeters do an excellent job at projecting a nice, reasonably wide sweet-spot. 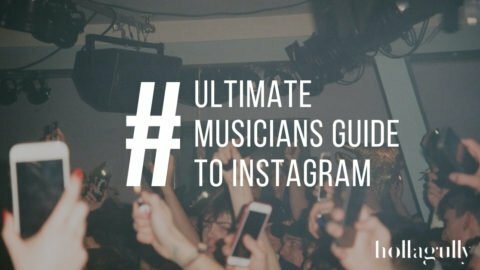 The bass can get tricky to wrap your hands around, and as mentioned above, will totally depend on the logistics of your room. The bottom starts to roll off by a few decibels in the low midrange frequencies, and then quite rapidly at 80Hz. In all likeliness, Yamaha did this to make them sound more neutral in untreated rooms that by nature can produce a build-up of bass. This could be a helpful feature in small, non-treated rooms, but if your room is treated you may need a boost in the bass. In this case, trying checking out the Yamaha HS7 would be a good call. With everything considered, the Yamaha HS5 outperform most of the competition in their class. They are noticeably tight, punchy, and present dynamic range truthfully. They’re a sound choice for home recording and post-production applications with great value for dollar—absolutely worth their asking price.